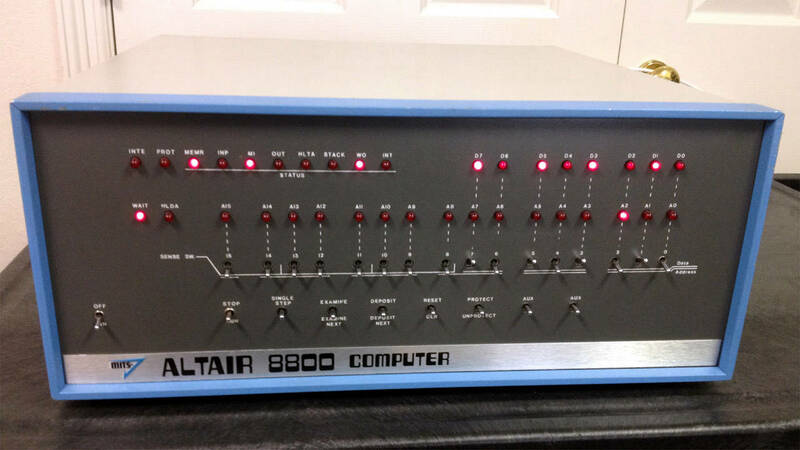 Click this text to see a video of the Altair 8800 loading 8K BASIC from cassette. 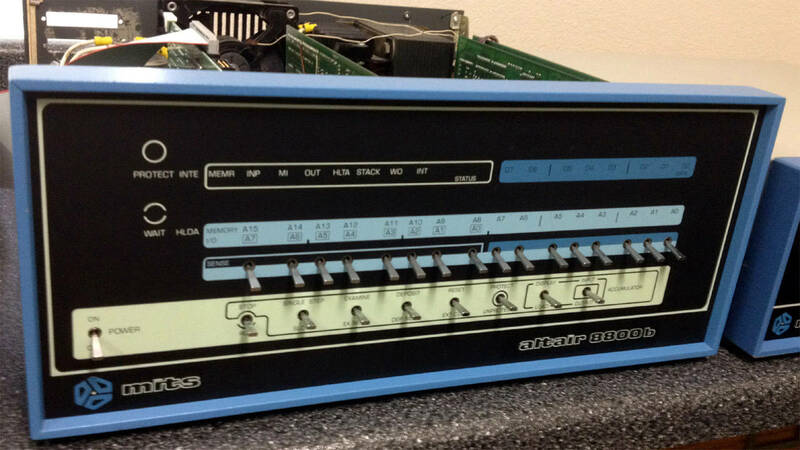 The Altair 8800a is a minor update to the original Altair 8800 that replaced the short, round batons of the front panel switches with a longer flat paddle. 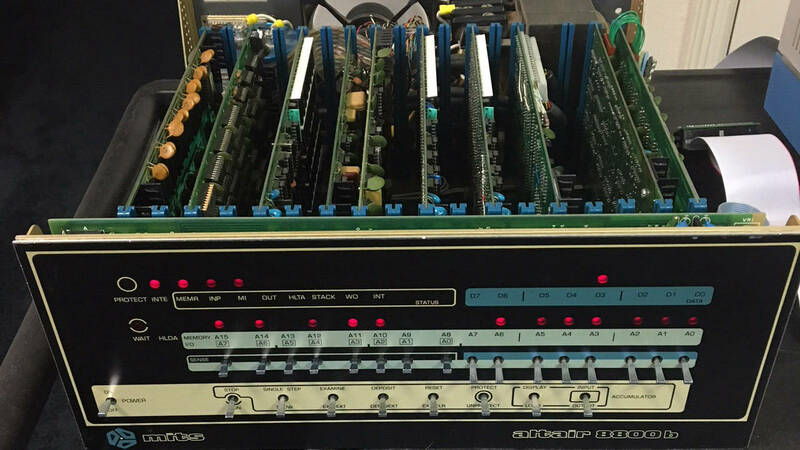 This same switch was later used in the 8800b. The 8800a also replaced the 4 slot motherboard(s) with a single 18-slot motherboard. Finally, a regulator was added to the 8 volt supply to keep the supply closer to 8 volts in a lightly loaded system. 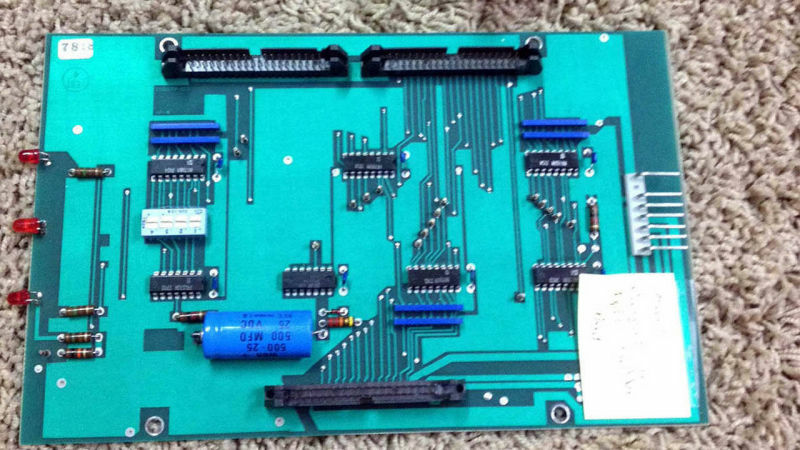 This helped the 5 volt regulators on the boards to run cooler. Ironically, as people added more boards to their system – especially the power hungry 4K and 8K static RAM boards – the regulator had to be removed to avoid the additional voltage drop it introduced. 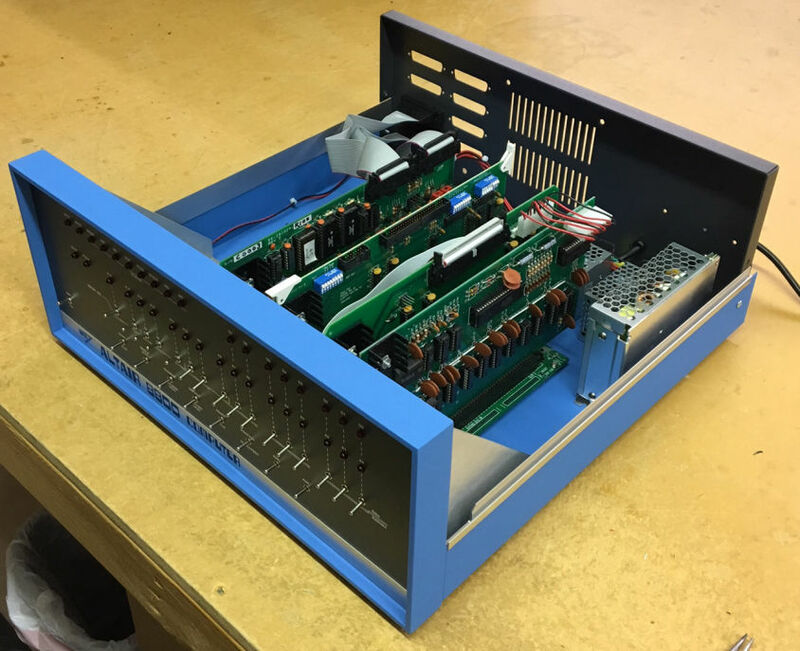 Pictured below is an Altair 8800a computer I restored for a friend. 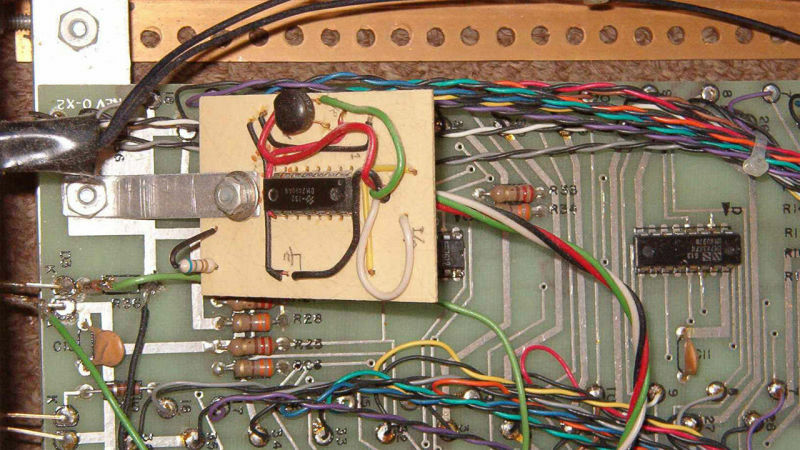 The system includes the Altair 8800 CPU board, but all other boards are from Processor Technology and form their "Subsystem B" which made most any S-100 computer function the same as their Sol-20 computer. 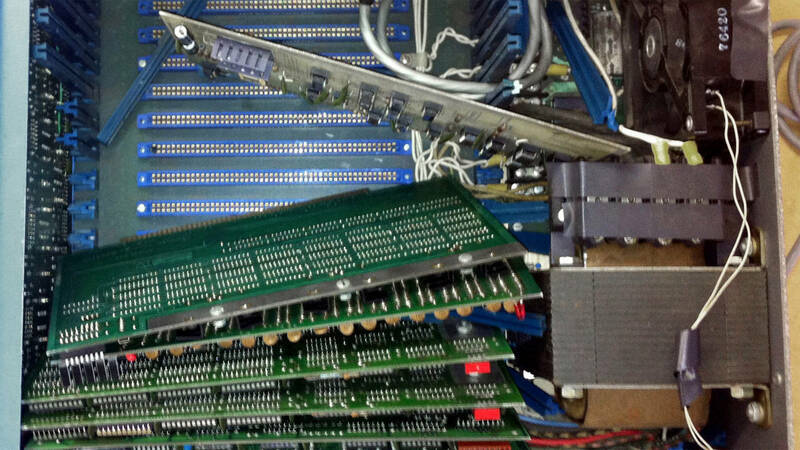 Click to learn more about Subsystem B from Processor Technology. 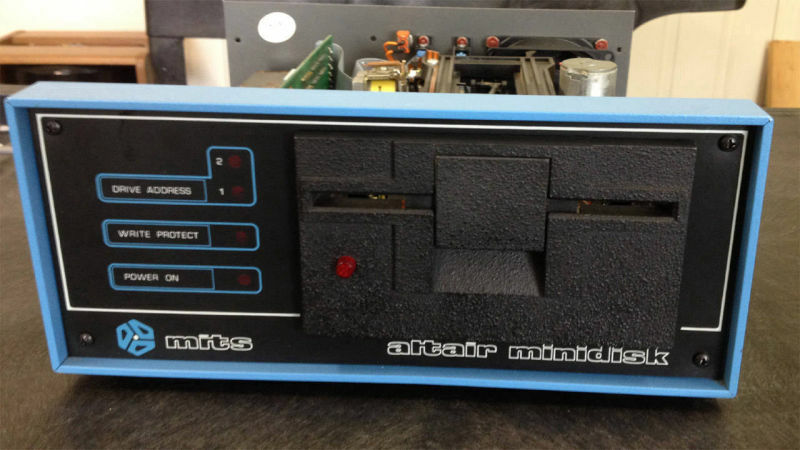 The Altair 8800b is the second generation of the Altair 8800 computer. 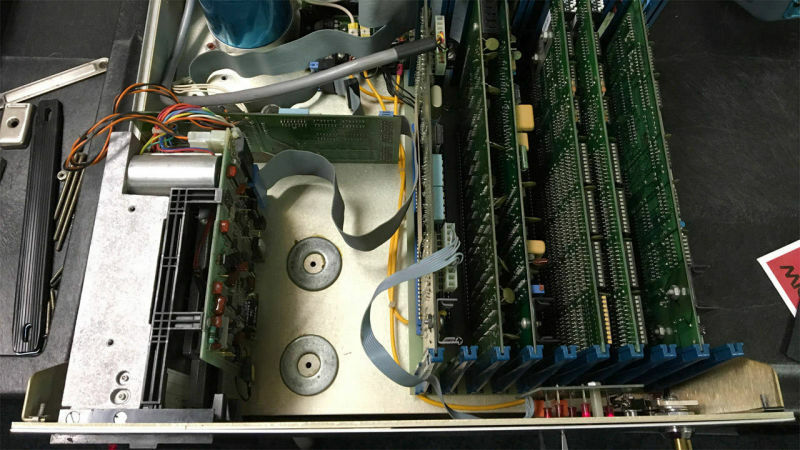 It provided a much higher capacity power supply and a larger motherboard with more slots. 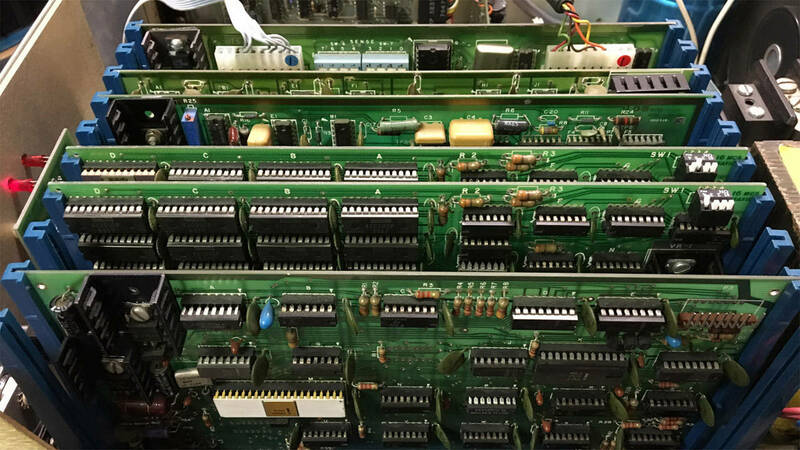 The 8800b CPU board uses the same 8080 processor running at 2 MHz as in the original Altair, so performance is the same. 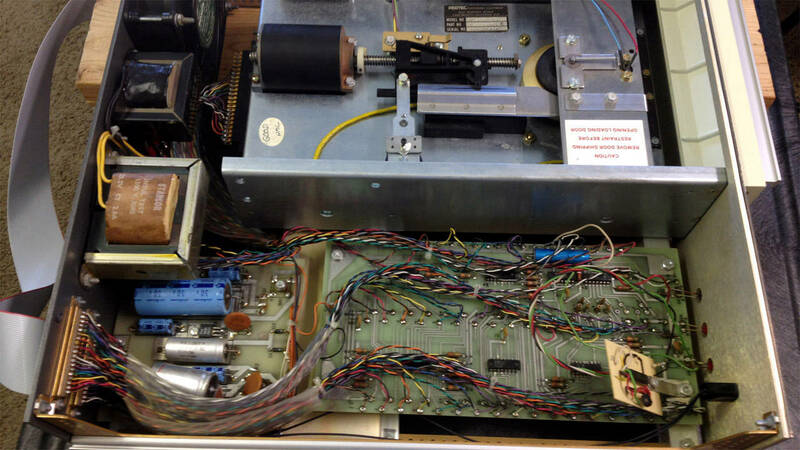 Click this text to see a video of an Altair 8800b in use with an OP-80A paper tape reader. Below are some pictures of an Altair 8800b I purchased through eBay and restored. 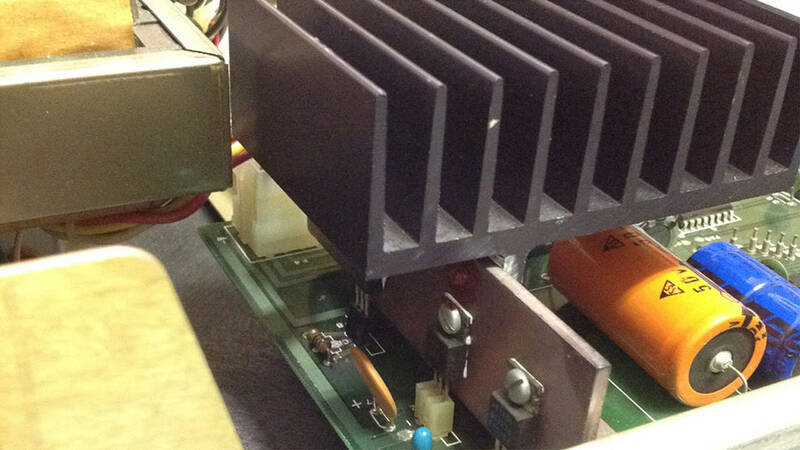 The computer was damaged in shipping as can be seen in one of the photos. 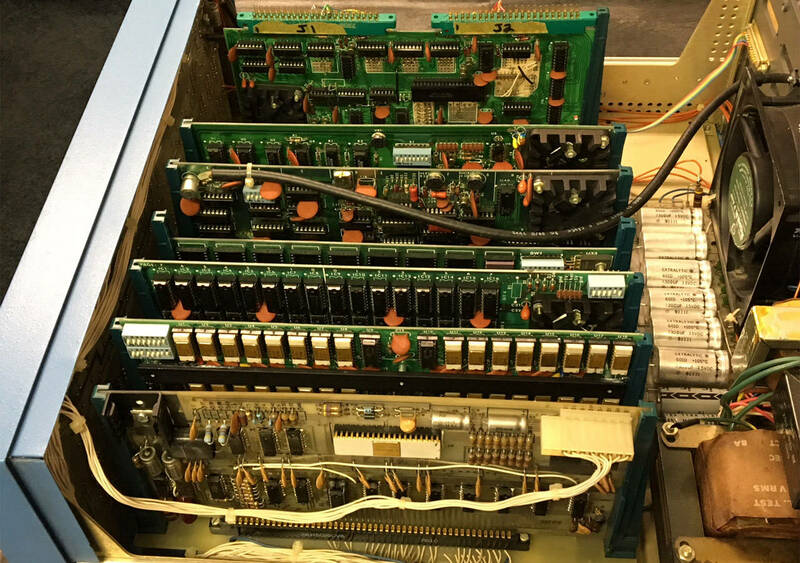 The "Minimal System" pictured is a fully functional Altair 8800b with the front panel interface board and 8080 CPU board on the far right, an 88-2SIO board for console I/O in the middle, and on the left, an Altair FDC+ board that connects to Altair floppy drives, provides up to 64K of RAM, and up to 8K of EPROM. 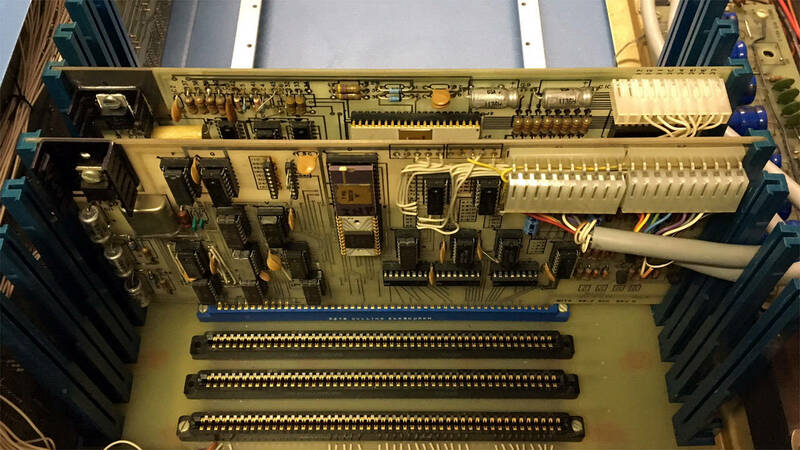 The "Fully Loaded System" consists of the front panel interface board, CPU board, four 88-16MCS (16K) static RAM boards, the 88-PMC 2K EPROM board, the 88-DCDD Altair floppy disk controller board set (two boards), and an 88-2SIO board for console I/O. 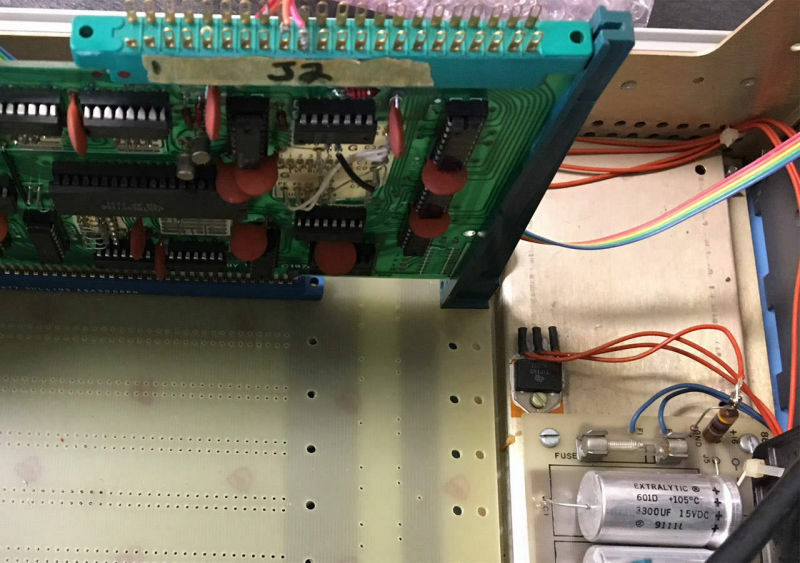 The 16K RAM board at address C000h-FFFFh includes a simple mod that disables the top 2K of the board when the 88-PMC EPROM board is accessed. Click this text to see details of the restoration. 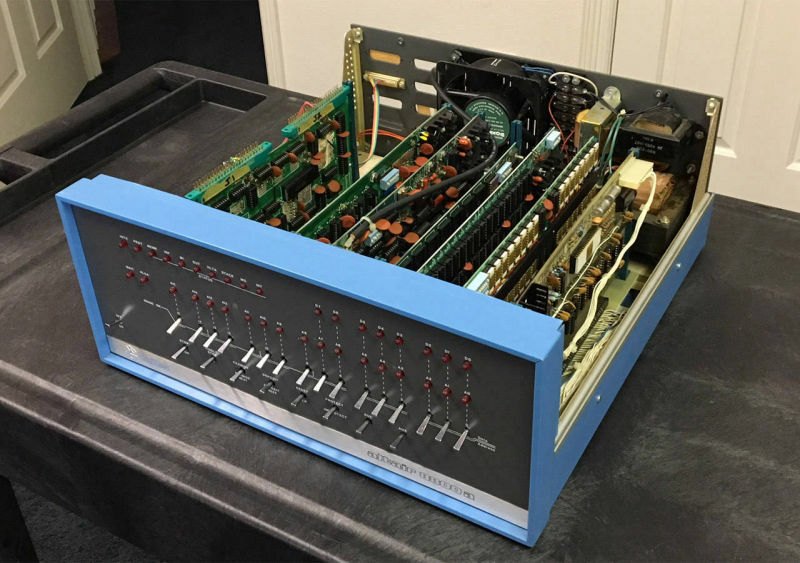 The Foley edition is an Altair 8800b Turnkey computer modified to incorporate one or two of the Altair Mindisk drives into the main computer chassis. 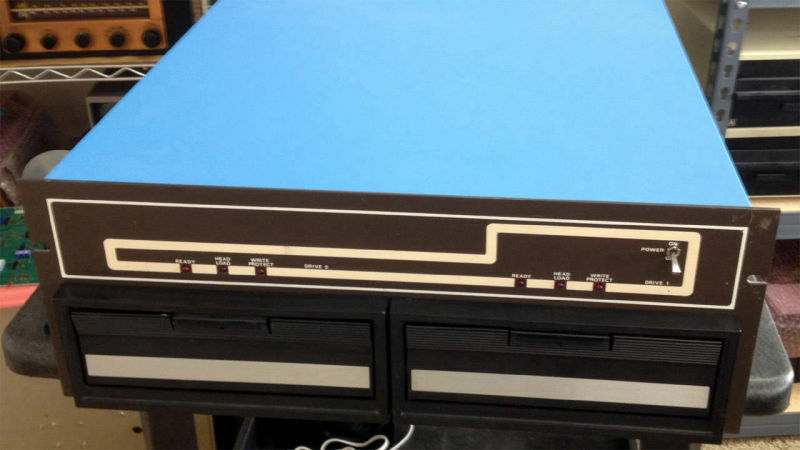 It was created as a product in late 1977 to sell through the Foley’s department store chain. 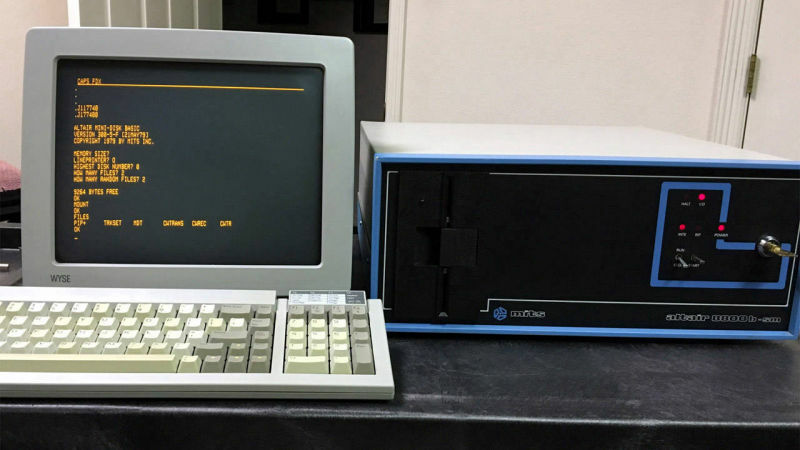 Click this text to see a video of the Altair Foley edition running Altair BASIC. 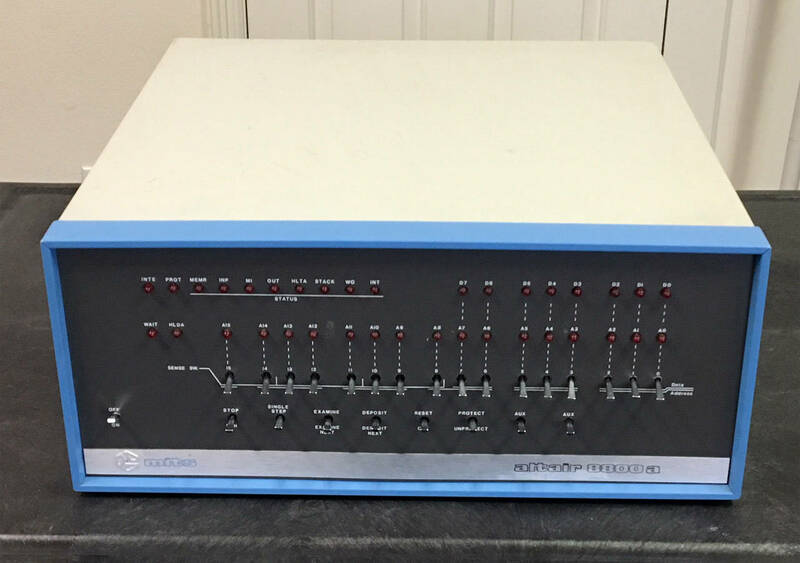 Below are some pictures of an Altair Foley computer I restored for a friend. 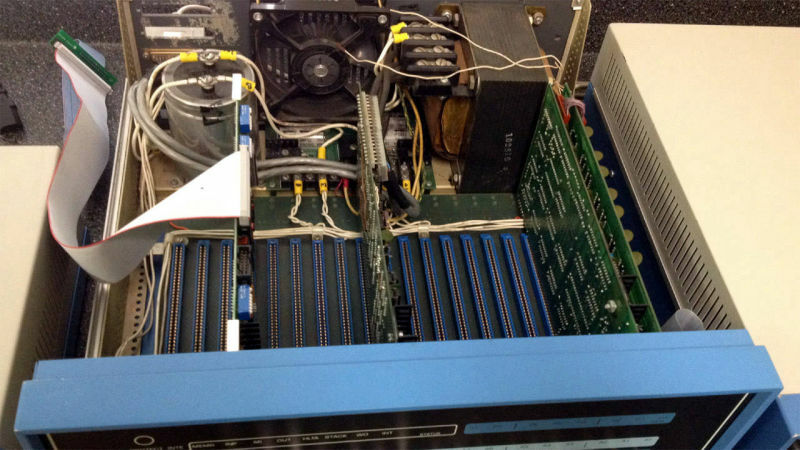 The board set installed is typical for the Altair Foley computer: The 8080 CPU board, two 16K static RAM boards, the two-board Minidisk controller set, and the Turnkey board. 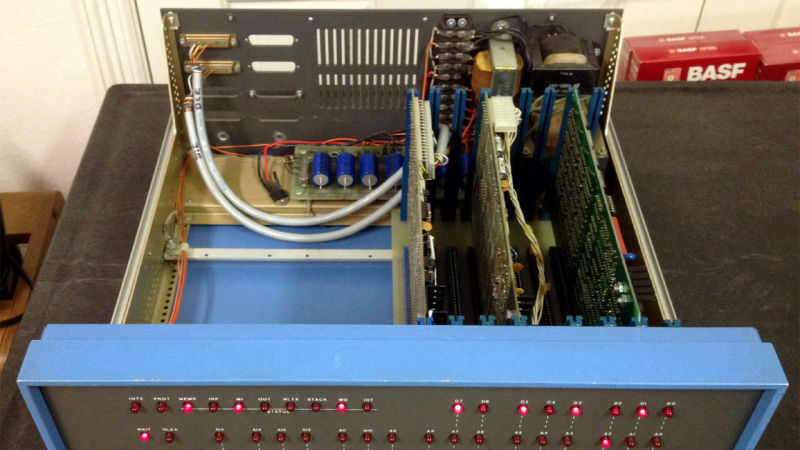 The Altair 8800c shown here is not actually one of the original Altair 8800s, but instead, a fully functional Altair built entirely from new equipment and boards available today (2018). 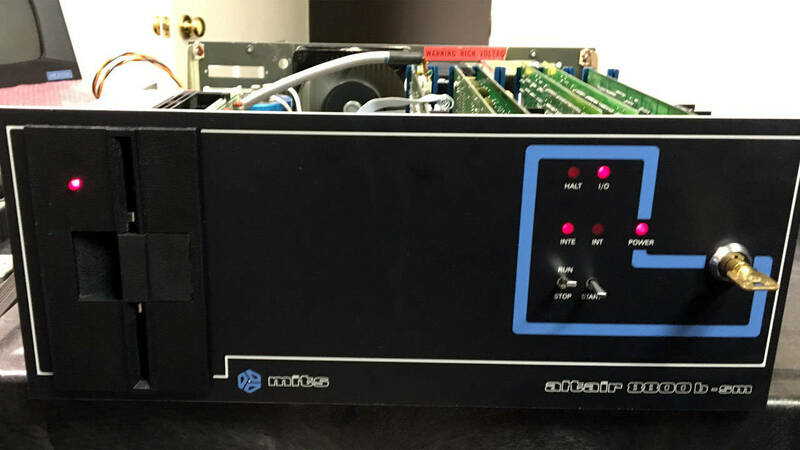 Click the picture to learn more about this computer. 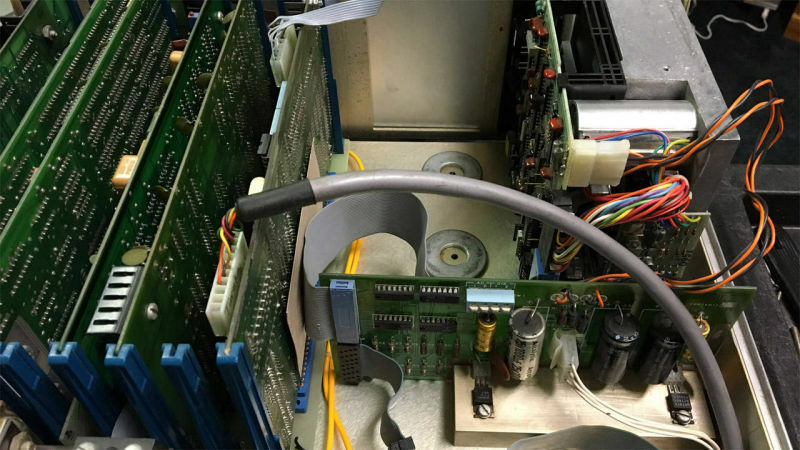 Hybrid versions of this computer, with a mix of new and vintage equipment, are a great idea as well. 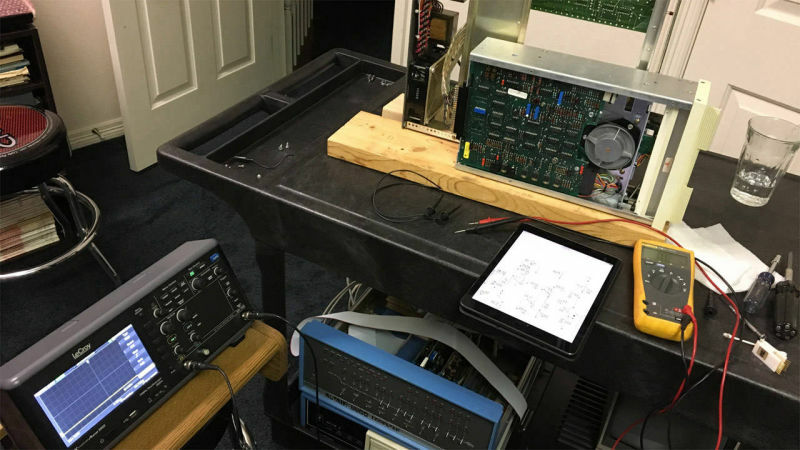 The computer can serve as a reliable platform for testing and working on other vintage S-100 boards. While obviously not a vintage display piece or museum item, this is a great hands-on way to experience the Altair for less money and with less restoration headaches than purchasing a vintage Altair off eBay. 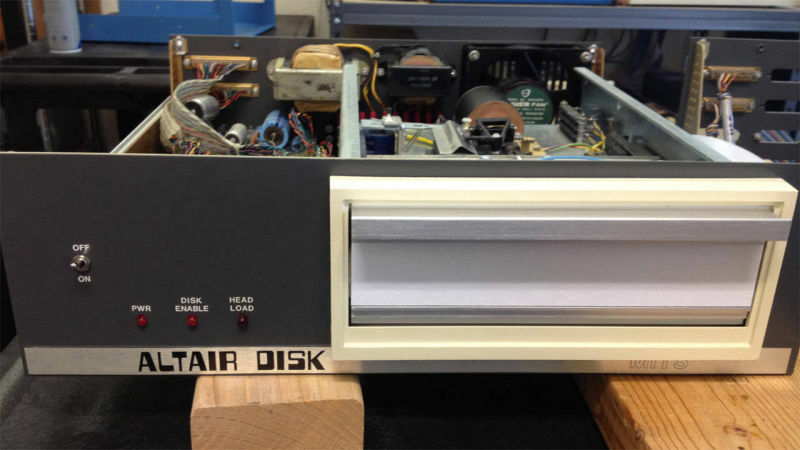 The drive pictured below is the first version of the Altair 8 inch floppy. It used an early version of the Pertec FD-400 drive with an aluminum door and handle as opposed to the more common plastic door found in later versions of the FD-400. 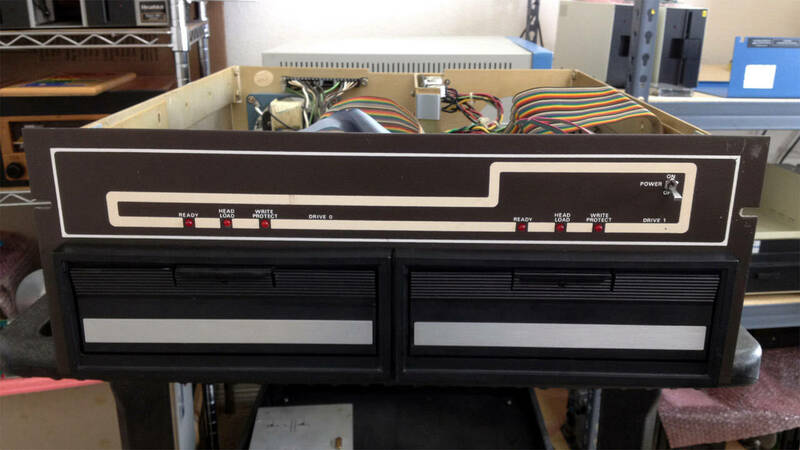 This cabinet has a user-installed modification that makes the power LED flicker when a disk is inserted and spinning. 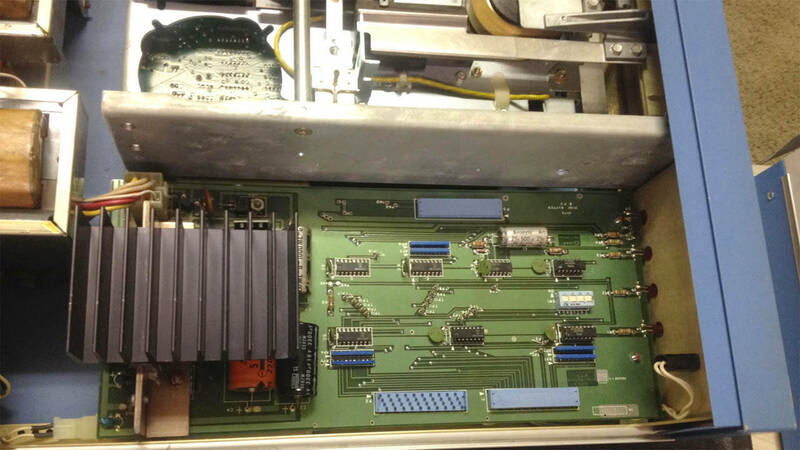 This allows the operator to verify a disk is inserted and to be sure the motor is still spinning. 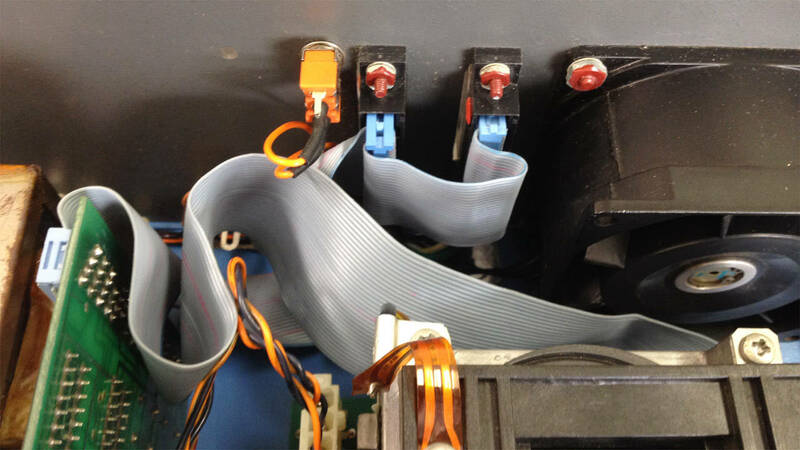 Sometimes, the motors on the Pertec FD-400 drives would seize and stop spinning. 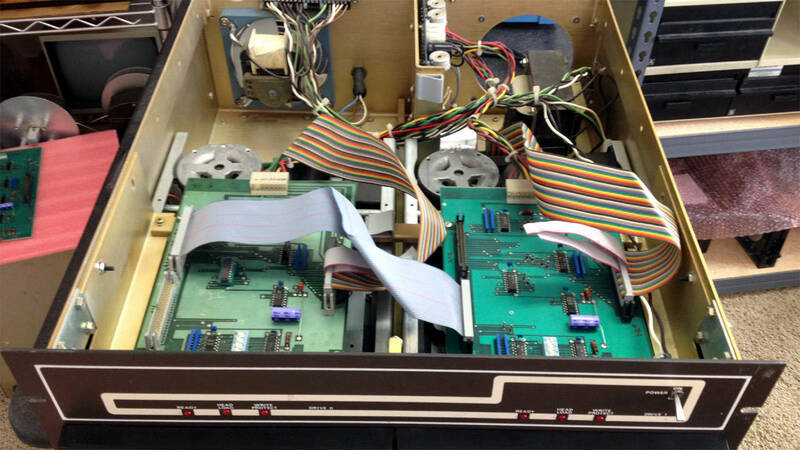 The drive pictured below is the last version of the 8 inch drive produced. 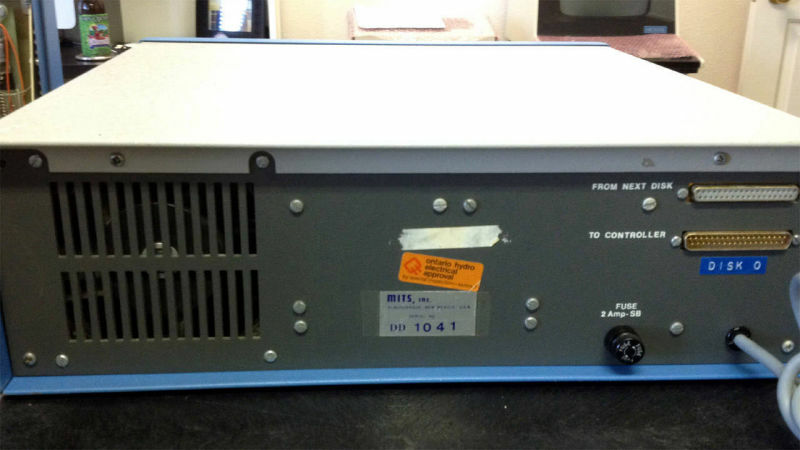 According to ex-MITS employees, this version was cancelled by Pertec before it was ever released for sale to the public. 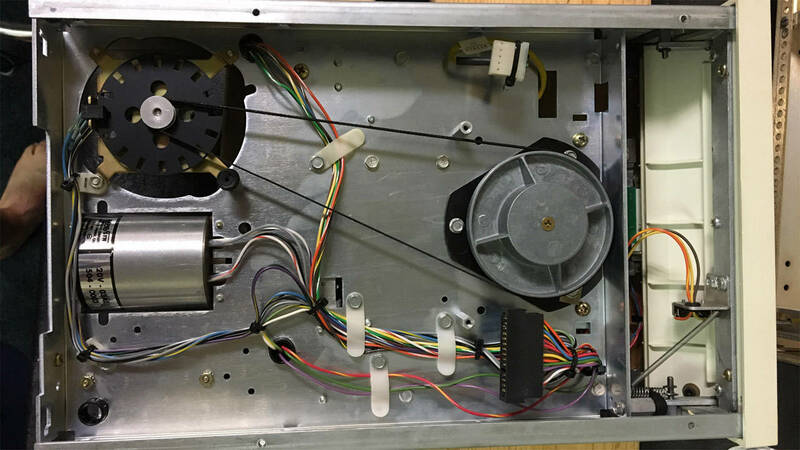 This drive has the newer 8800b style face plate, is populated with the write-protect detection and LED indicator, and uses a newer buffer board design that utilizes ribbon cables with IDC connectors instead of hand-soldered conductors. 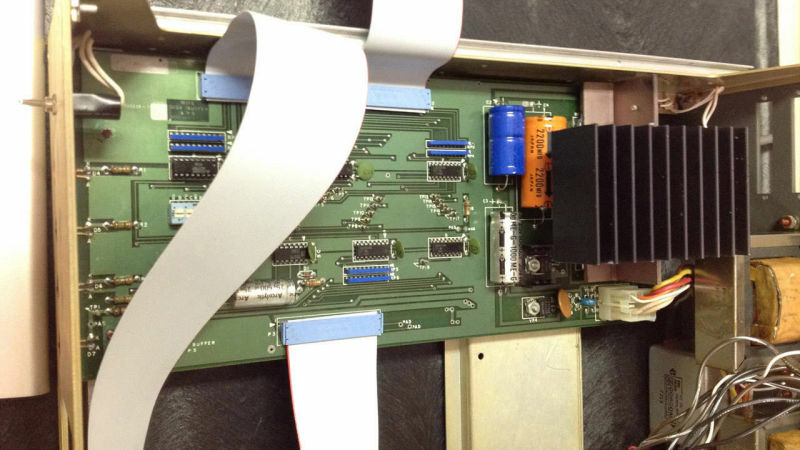 The buffer board also includes the power supply components (other than the transformers) rather than using a separate power supply board. 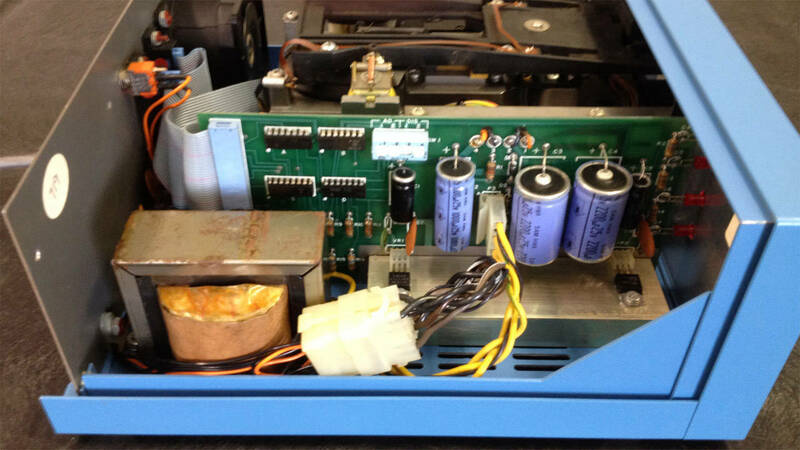 In the Altair drive cabinet pictured below, an FD-410 drive has been substitued for the original FD-400 drive. 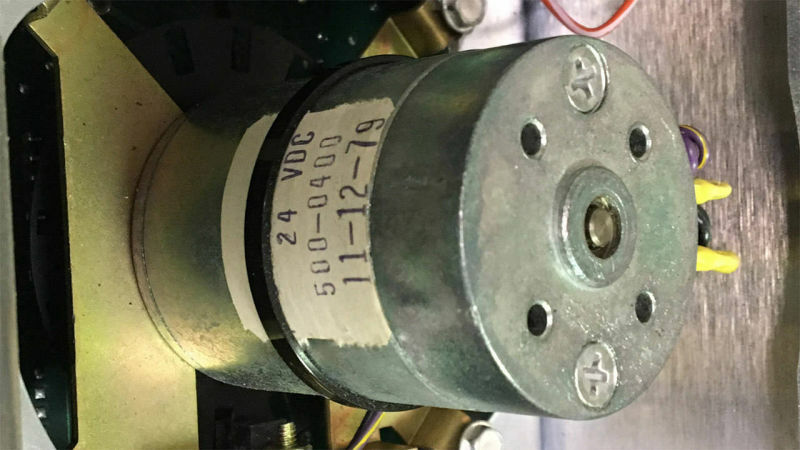 The FD-410 replaced the problematic, direct-drive, DC hub motor of the FD-400 with a 24 volt DC motor and belt driven hub. 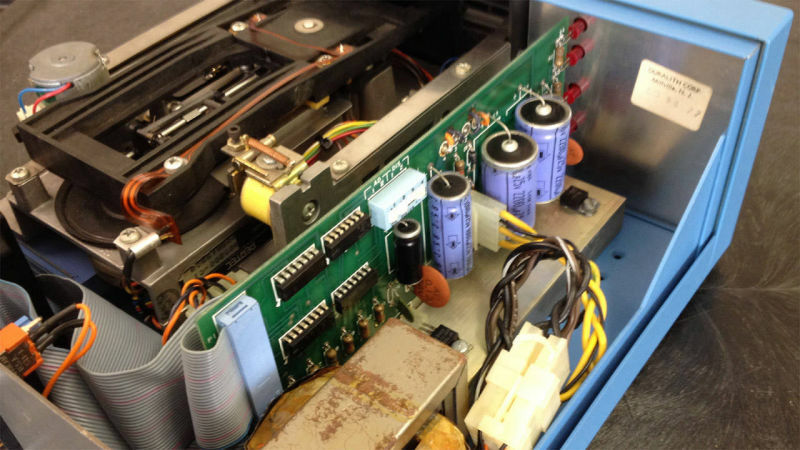 This allowed the FD-410 to serve as a drop-in replacement for the FD-400 and eliminated the lock-up problems associated with the direct-drive hub. 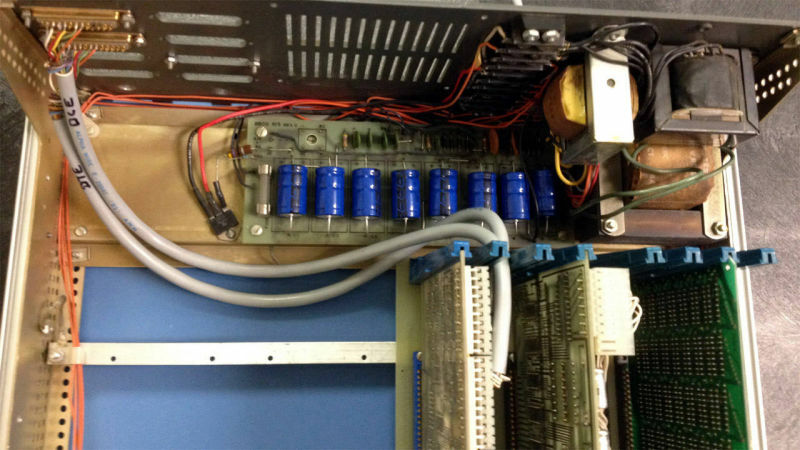 Shown below is the dual-drive 3202 cabinet made during the Pertec era of MITS. 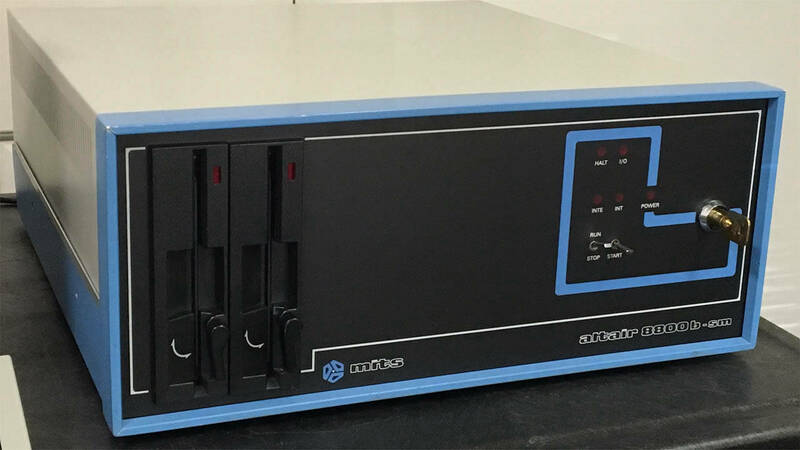 It provides two Altair compatible 8 inch drives in a single cabinet. 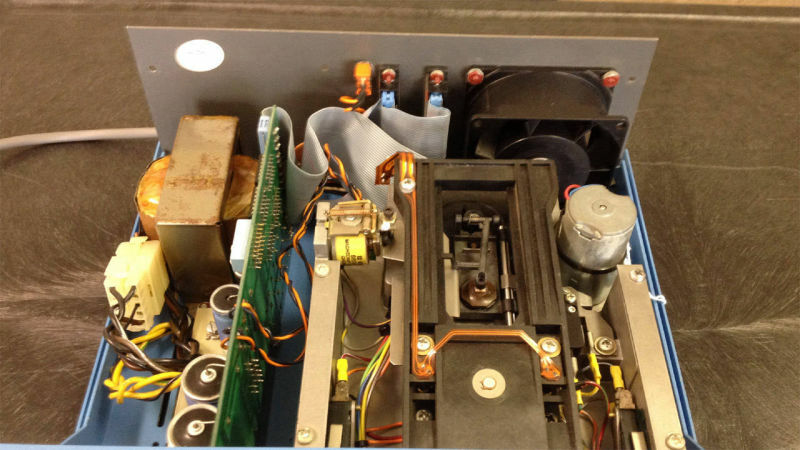 The 3202 was typically outfitted with two Pertec FD510 drives (A/C motor) instead of the direct-drive DC motor of the FD-400 drives found in the single drive cabinets. The front panel of this unit has the tan/brown iCOM color scheme instead of Altair blue/black. It came without a cover, so I had a simple sheet metal cover made and painted it Altair blue. 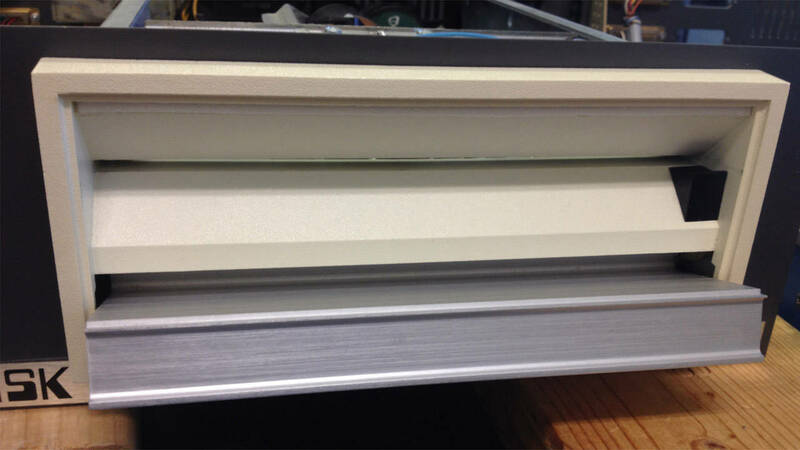 The original Altair cover is larger and extends beyond the edges of the front panel. 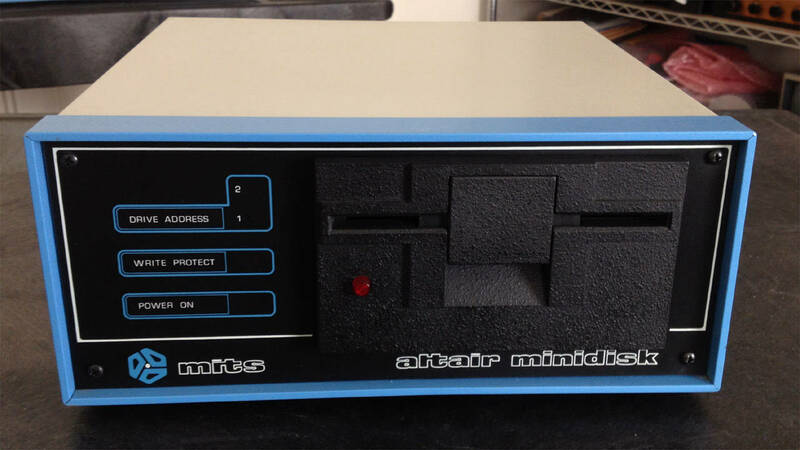 The Altair Minidisk was the 5.25 inch offering from MITS. 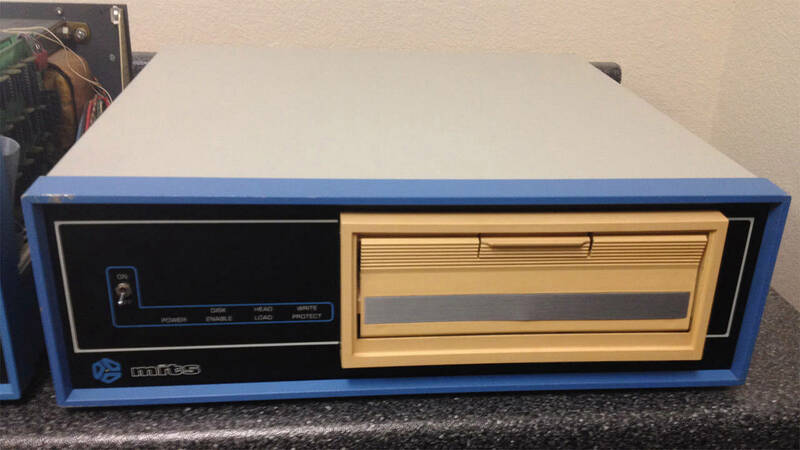 This was a first generation 5.25 inch drive – single sided, single density with 35 tracks. 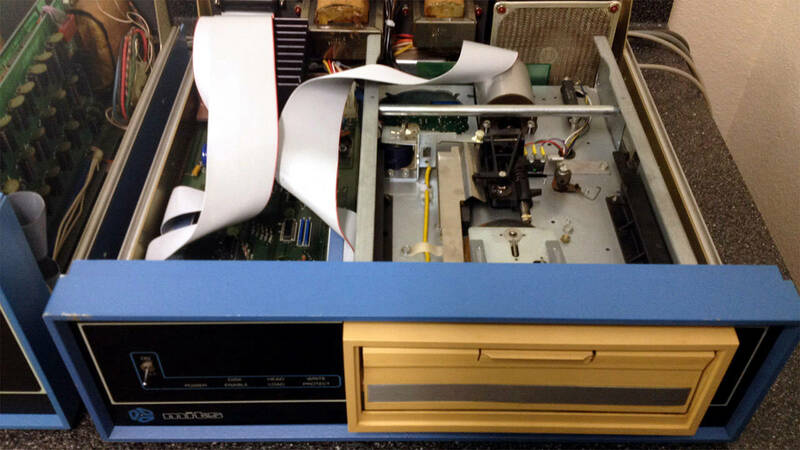 Total capacity was about 70K (compared to 308K for the 8 inch drive). Altair BASIC and Altair DOS were available for the minidisk. 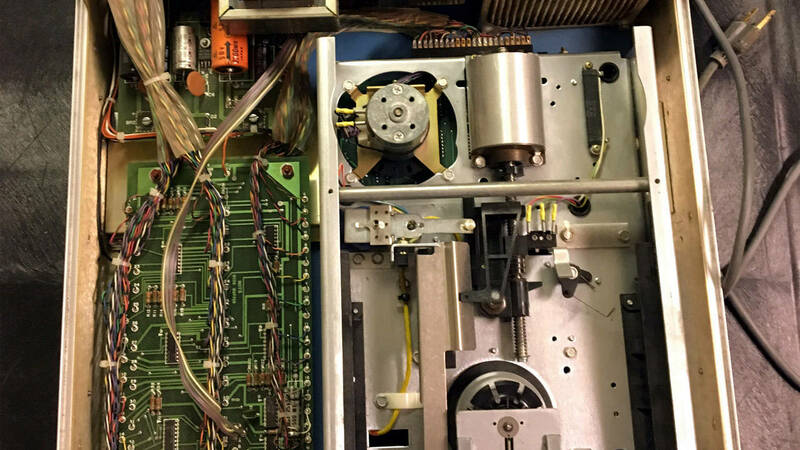 A hard sector controller very similar to the 8 inch controller was used for the minidisk. 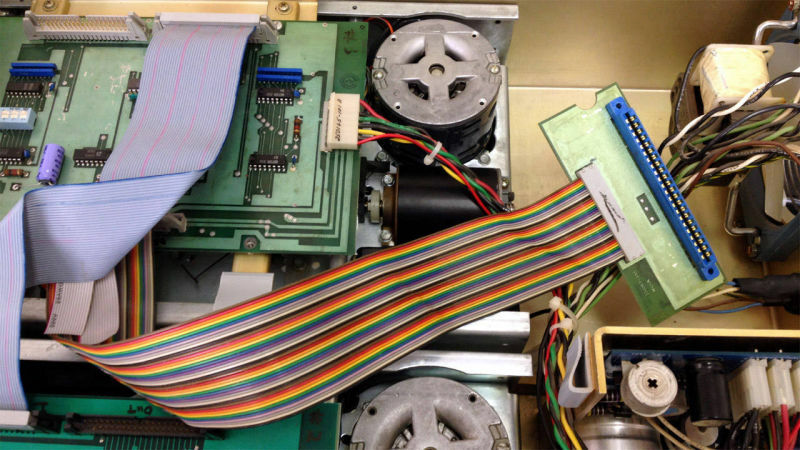 Click this text to see a quick video of the Altair Minidisk in use. 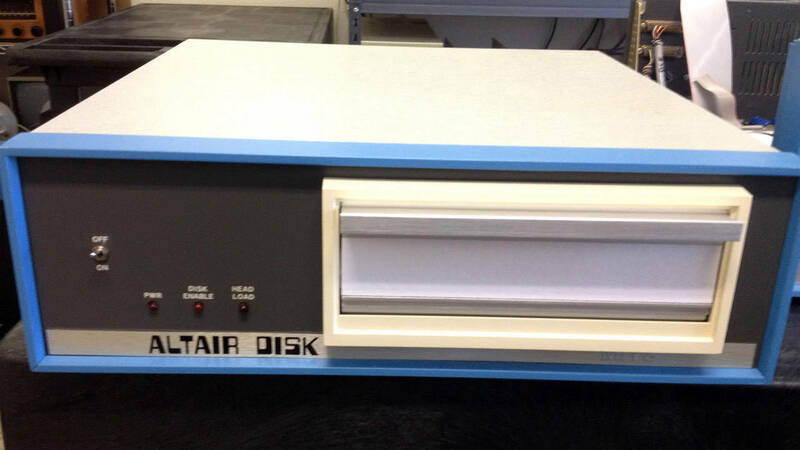 Below are some pictures of an Altair Minidisk drive I restored.